I would be lying if I said that this surprises me, but Samsung just acquired LoopPay, a company specializing in mobile payments in a way that doesn’t require NFC or changes from retailers. The two companies were previously rumored to be working together to create a competitor to Apple Pay. LoopPay has been on the rise as of late, thanks to its technology that is able to emulate a magnetic card swipe that happens each time you use a regular credit card at a payment terminal. The technology, at least in recent forms, starts through a case that is attached to a phone which can then be tapped to a payment terminal to finish off a transaction. The key feature of LoopPay is that it doesn’t require retailers to change out their existing hardware and works at around 90% of current pay terminals. In other words, LoopPay doesn’t need to wait for retailers around the world to swap out current hardware for NFC-equipped hardware in order to work, like Google and Apple do. As I mentioned, LoopPay is currently a dongle or case add-on for phones, but now that Samsung owns them, you have to wonder if they will figure out a way to build the technology into phones, like the next line of Galaxy devices. No matter what, this is kind of a big deal. Here is a video intro on how LoopPay works. Update: Here is an email being sent out by LoopPay. 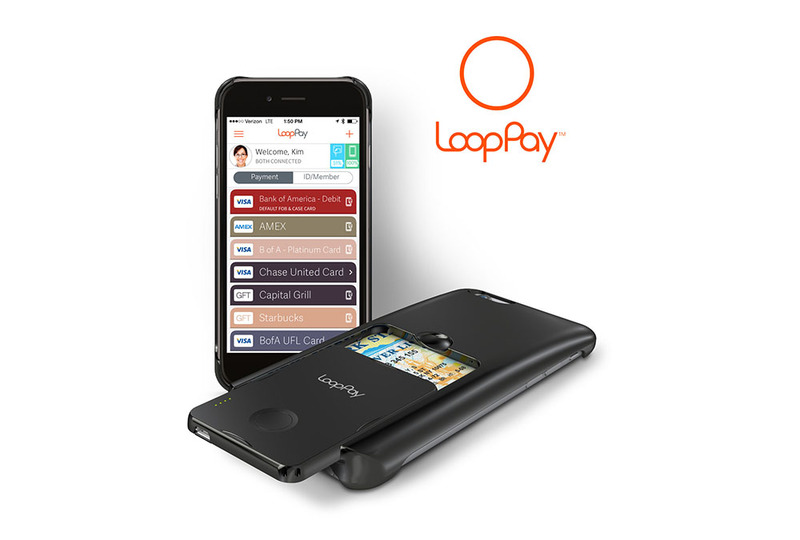 MOUNTAIN VIEW, Calif. & SEOUL, South Korea–(BUSINESS WIRE)– Samsung Electronics Co., Ltd. today announced that it has agreed to acquire LoopPay, the acclaimed mobile wallet solutions provider that turns existing magnetic stripe readers into secure, contactless receivers. LoopPay’s technology has the potential to work in approximately 90% of existing point-of-sale (POS) terminals, according to internal research, with no investment in new infrastructure required by merchants. 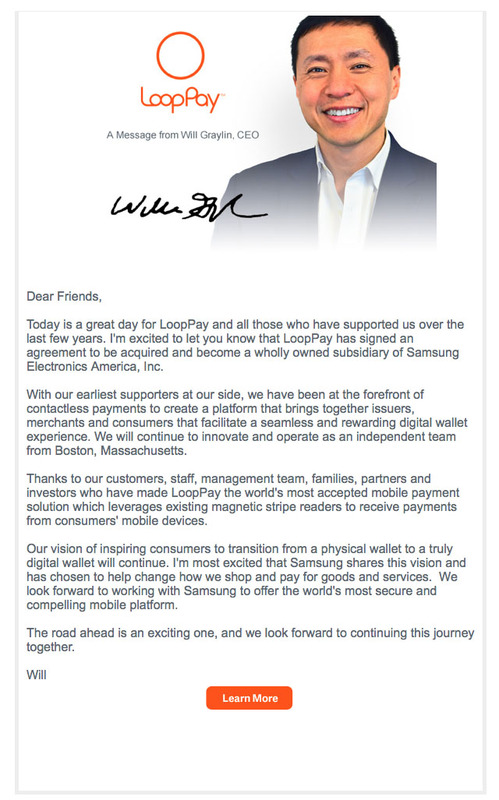 LoopPay will join Samsung to strengthen the company’s overall efforts to provide users with seamless, safe, and reliable mobile wallet solutions.